There are 6 photos for this trigpoint (view album). Is ranked joint 119th with 1 other trig (more). Superb day. 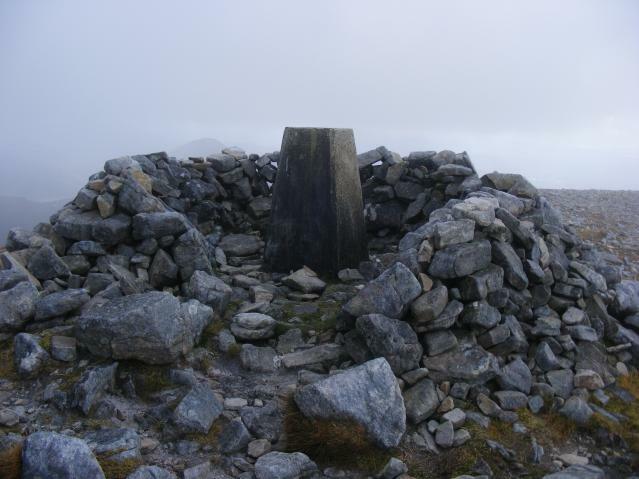 2nd of the 3 Corbetts. Fantastic views, A large chunk has been taken from the base of the pillar. Big chunk has fallen off the base of one corner. Base of trig damaged. 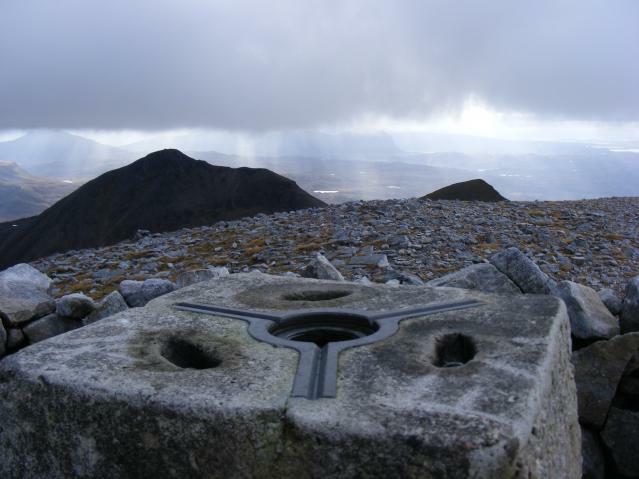 Great views from all this group of Corbetts. My log says - brilliant day, one of the best. Stunning views. 11/10. an obscenely good hill day. so much variation. huge drops, huge views, huge satisfaction. 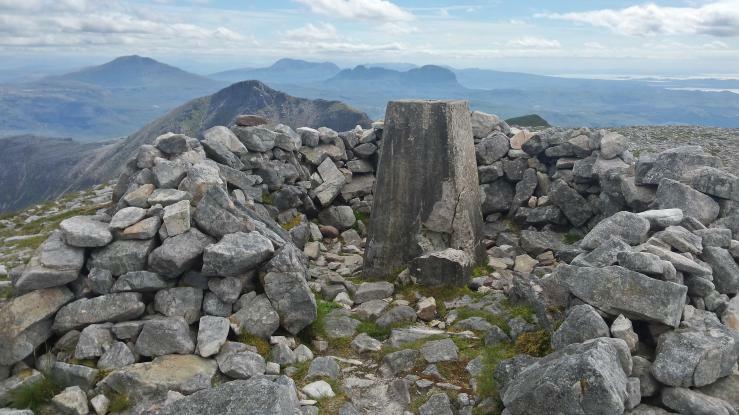 Quinag's three tops with Chris Crocker. 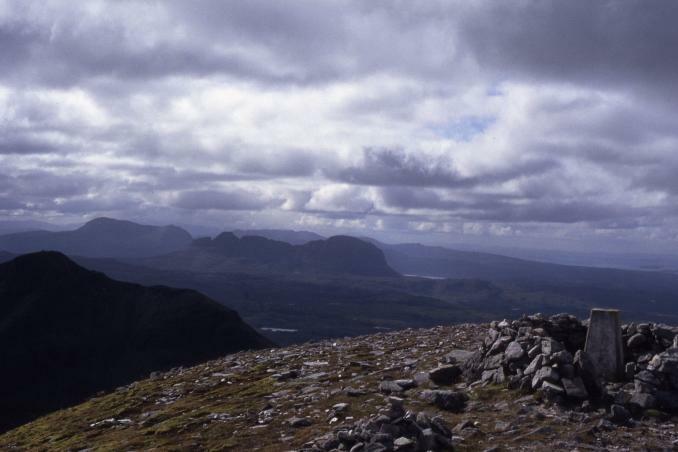 Pre trig point log days hence no FB or GR, set out from a parking spot on the A894 in reasonable weather and climbed up to the summit from North of Lochan Bealach Cornaidh. 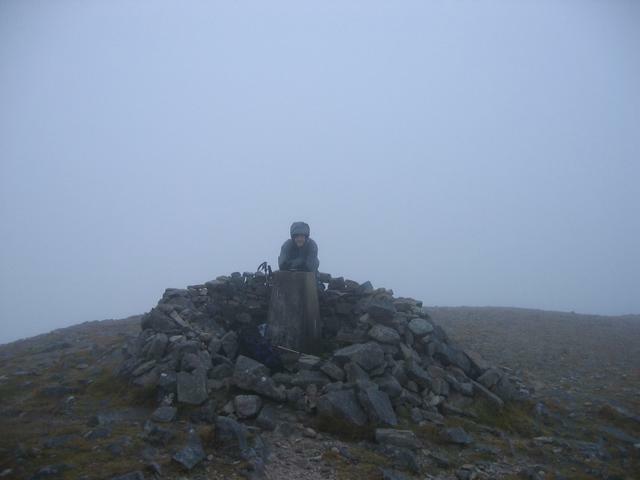 By the time we hit the summit the weather had deteriorated, pretty awful conditions so not much attention paid to the Trig Point detail. Done with nozzer on his 1st visit. Chunk missing near bottom of pillar. Built without FB; no cap or plug. Just the main summit this time. Late-evening 2h visit, arriving just before sunset - superb light but a dead camera :-( Plan was to change batts before starting out. Will take a while to forget the views though. Walked in from east via Spidean Coinich and back via Lochan Bealach Cornaidh. an excellent days walk. 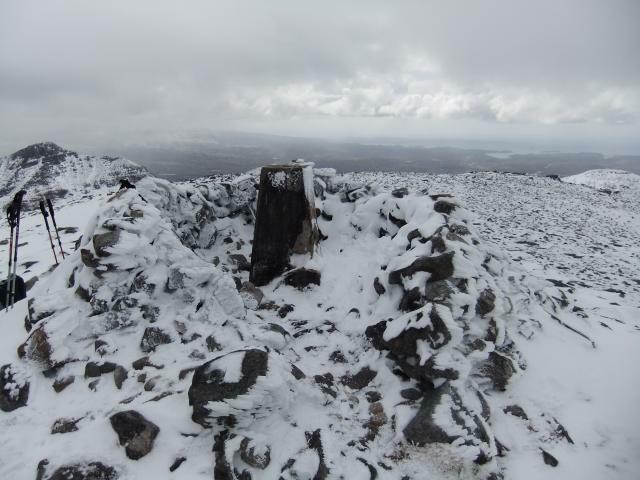 My first Corbett trig; second Corbett - Happy Days!